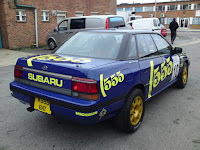 This might not be an Impreza but being a real Prodrive-raced Subaru Legacy RS Group A rally car driven by none other than Ari Vatanen. 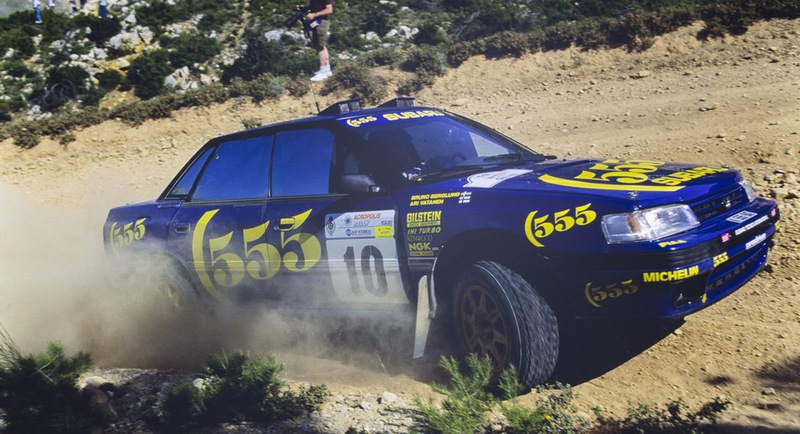 This is the same car that Vatanen was driving when he was leading the 1993 Acropolis Rally, ahead of Tommi Makinen, Carlos Sainz, Colin McRae and Juha Kankkunen before crashing. 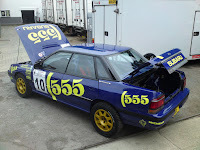 After the race, the car returned to Prodrive and was re-shelled in-house before it was sold to an Italian rally team. 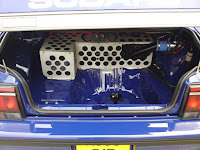 In 1995, the same car was driven by Richard Burns at the Bettega Memorial Rallysprint, finishing second overall. 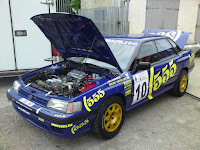 The car then was re-shelled again but this time it was converted to a new Safari-spec Impreza shell, which is not uncommon for Legacy rally cars. 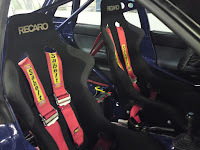 In 2008, the car was bought by the Richard Burns Collection in order to completely rebuild it and bring it back to its original specs. 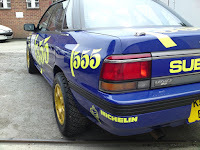 The task was overseen by ex-Prodrive man Ian Richardson, who created an authentic Prodrive-spec Legacy shell for the car which now comes with the famous K555 BAT number plate. 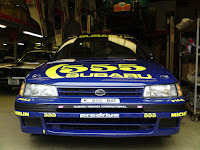 The rather special Subaru Legacy RS Group A rally car is presented in the correct gravel specification and livery it wore at the 1993 Acropolis Rally. 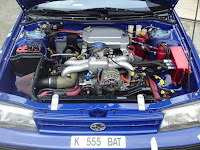 The blue-gold Subaru is powered by the period-correct works turbo 2.0-liter flat-four engine with 290hp, paired to an X-trac manual gearbox. 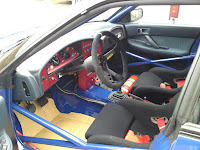 It has covered around 60 miles (100km) since the rebuild and is currently heading to Silverstone Auctions’ Race Retro Competition Car Sale on February 23 with a price estimate between £120,000 and £140,000 ($162,000 to $190,000). 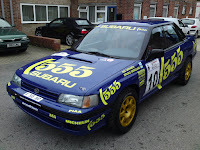 0 Response to "Once Driven By Rally Gods, This Subaru Legacy RS Is Now Up For Grabs"